Pottery Barn Kids had some great sales recently. They also had a lot of owl merchandise. 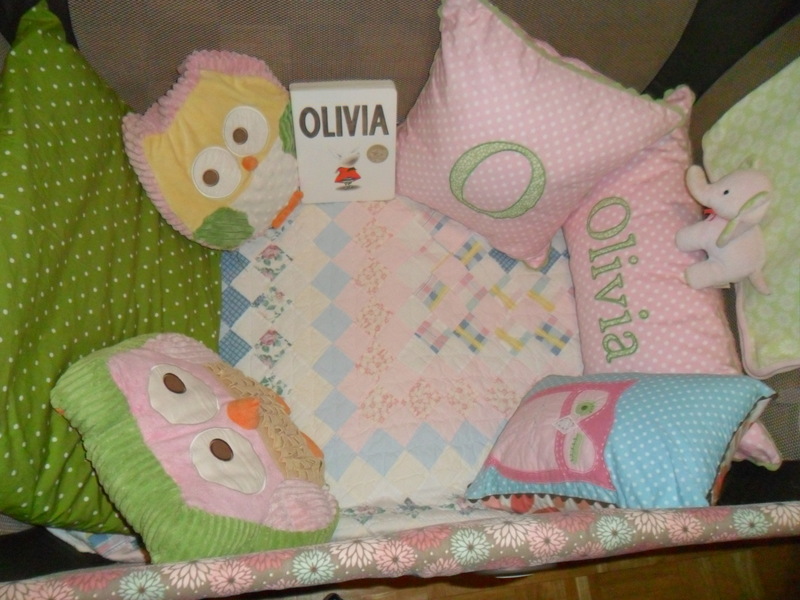 Sales + Owls = Olivia is in luck! 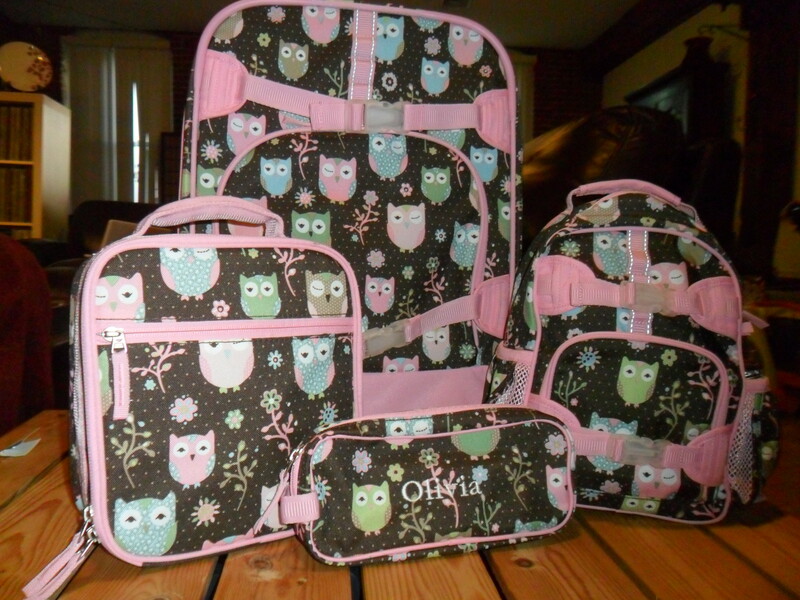 A great back-to-school set including a lunchbox, a backpack and pencil case with an adorable owl print caught my eye online. Well, Olivia is too young for back to school – but she could use a lunchbox and a backpack we could use as a small diaper bag. Once I saw it also came in a rolling suitcase – I was sold! I also got the pencil case – monogrammed with Olivia – and we keep her hair ties, berets, and headbands in it. 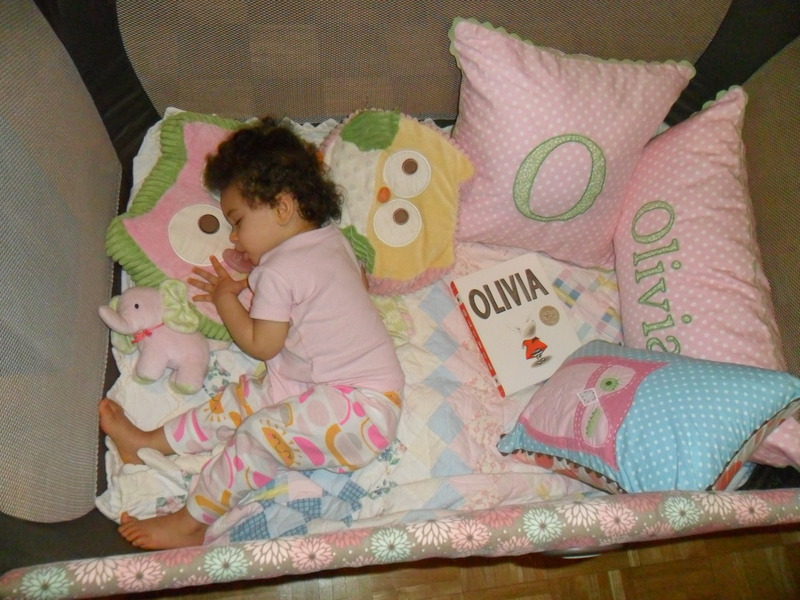 Lately Olivia has been spending a lot of time in her Pack -n – Play. We have it in our living room. She plays, naps, walks around – she actually likes it. It’s her own personal space. I have a pink, blue and yellow patchwork quilt in there. It’s a twin size and the matching one is on the twin bed in her nursery. When I saw these adorable pillows on clearance at Pottery Barn Kids, I knew they would look really great in her Pack – n – Play. These three pillows were on clearance at PBK. The little elephant and its matching blanket are from Carter’s. These owl pillows are from Target. 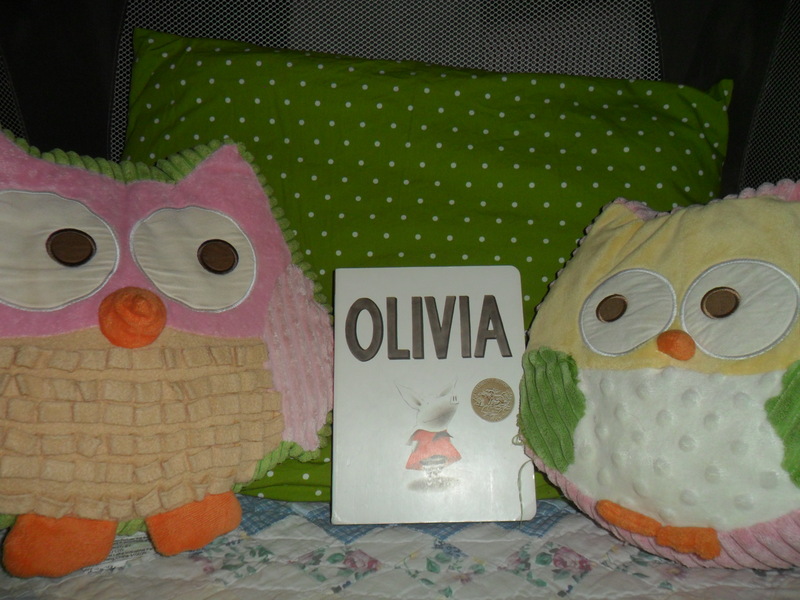 As you can see – she loves her owl pillows! I use different patterns but try to stay in the same color palette. 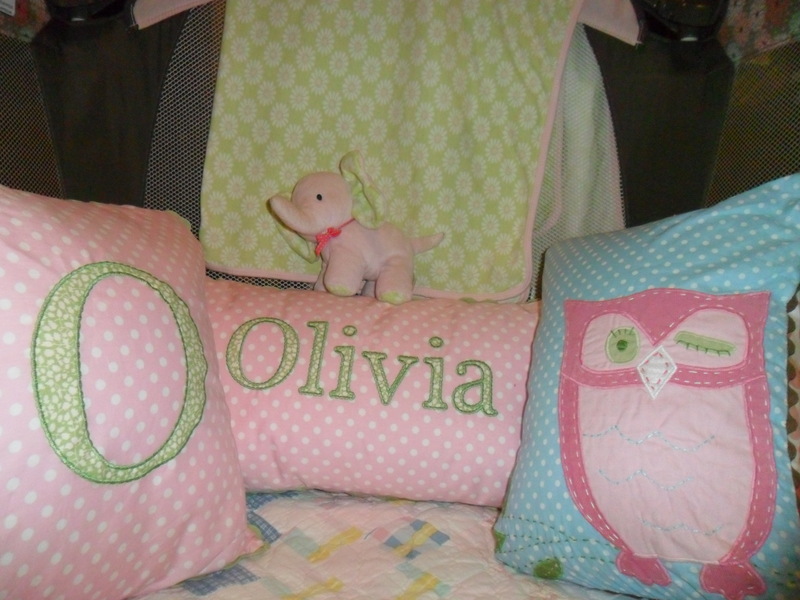 The new “O” pillows are polka dot, the quilt is patchwork, and a lot of Olivia’s sheets and blankets are yellow gingham. What patterns do you like to mix? Leave a comment and let me know if you like my new owl merchandise. Thanks Cynthia! I LOVE the owl coasters! I pinned them on my “Owls for Olivia” pinterest board! I would love to buy some!